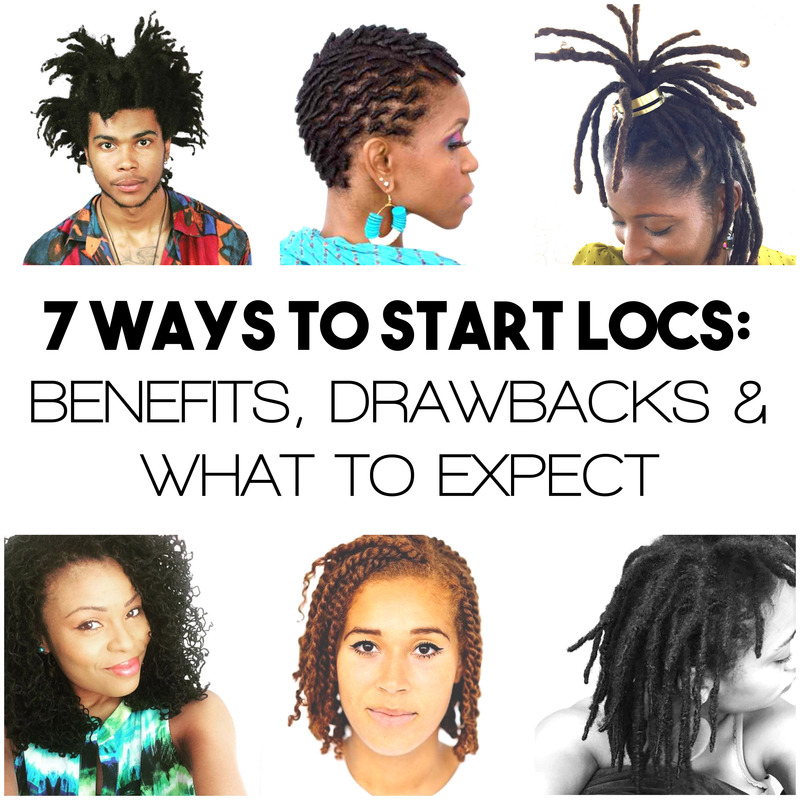 There are essentially 7 different methods that can be used to start locs. The best method for you depends greatly on the combination of your hair texture, hair length, and desired end result/size. I want to be very clear that every hair texture can form “locs” with time, patience, and proper care. The commonality of each technique is that the hair will go through the phases of locking, but the difference is how they will look during the evolution. Locs can be started with two strand twists with as little as 4 inches of hair, and it is often the go to method for longer hair or highly textured hair. Starting locs with two strand twists will give the locs a solid internal foundation and create thicker locs, depending on the size of the two-strand twists. 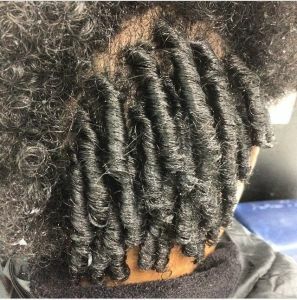 The lines of the two strand twists can take 6 months – 2 years to completely disappear and produce the appearance of solid locs. In the beginning, your twists may unravel at the ends, so it is important to always maintain the locs from root to ends. Locs that are started with two strand twists can use palm rolling or comb twisting for maintenance. Locs can be started with braids / plaits with at least 5 inches of hair of any texture. Braid Locs, as they’re called, are ideal for individuals that sweat a lot in their scalp or that wish to maintain their locs with interlocking. The braided pattern in the hair can take at least 1 year to disappear, and with longer hair the pattern may never fully disappear. Also, keep in mind, because the braiding pattern produces more of a linear aesthetic the resulting locs may be flat in appearance rather than circular. In the beginning, your braids may unravel at the ends. You can remedy this by styling your locs after a maintenance session or by threading the ends. Locs that are started with braids / plaits can use palm rolling or interlocking for maintenance. To start locs with comb coils, you only need about 2-3 inches of hair (depending on your desired end result) and they can be done on any texture of hair. This method utilizes a comb to create uniform coils around your head, which are often the go to technique for pencil-sized traditional locs. While shorter lengths will lock fairly quickly with this method, starting locs with comb coils on longer lengths of hair will take longer to lock because the inside of the comb coil is hollow and the coil has to mesh together internally first to begin loc’ing. Comb coils can be sensitive to water with soft textures so you want to be sure to only wet them when you’re shampooing them to prevent them from coming undone. Once the ends are sealed and there is a bud on the end, this method “looks like locs” the quickest. This method is commonly used amongst Caucasians, or individuals with naturally straight hair, because it involves teasing the hairs to “create” an internal intertwining of hairs, then palm rolling it into the shape of a loc. I’m personally biased towards backcombing because that’s how I started my current set of locs and it worked out perfectly for my soft, fine hair texture. If you don’t maintain the locs properly in the beginning you can have “blow-outs” or budding on the shaft of the locs instead of the ends. Backcombing gives you “instant locs” that are easy to maintain using the palm-rolling or comb twisting methods. with very active lifestyles who want their locs to appear neat the majority of the time and don’t want to be bothered with maintenance themselves. This method involves using a tool or your fingers to interweave the loc through itself. The resulting locs are often micro to small in size. Also, depending on your texture of hair, it can take 6 months to 2+ years before your hair is fully locked. 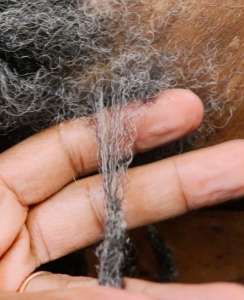 Interlocking basically creates the internal structure of the loc first and then all the shed hairs accumulate around that matrix, and because of this the locs will swell in size first, as they’re maturing, and then shrink down in size. 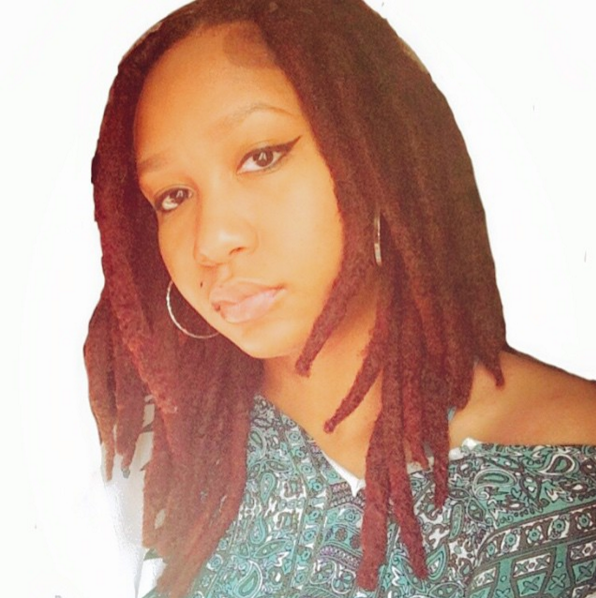 For people that don’t want to go through the “ugly phase” of locs and instantly want the appearance of long, cultivated locs this method is for you. You can attach loc extensions with human hair fibers, synthetic fibers, or someone else’s locs. The option of Loc Extensions are available for all types of locs expect Sisterlocks / Brotherlocks and you can maintain the nu growth with palm rolling, interlocking, or comb twisting. If you use synthetic fibers to start your journey, the locs will be heavier and you’ll be limited from any coloring unless you cut the extensions off. Also, with the instantaneous cultivation of locs through extensions, you will never get the full experience of growing your hair into maturity, so it can be hard to relate to others in the loc’d community. Although your extensions will be “loc’d” your hair/roots will need to go through the locking process, and anyone with locs will tell you that it includes frizz (but you skipped the hard part)! RELATED: What are Loc Extensions? You can organically start your locs in several ways, whether you shampoo your hair and never detangle it again or use a curl sponge and let your locs form on their own. Freeform locs are free to grow how they please and you don’t separate them from each other, instead you let the hair dictate the look. You never know how your locs will turn out— for some that is the beauty of the journey and others it can be unsettling and a learned appreciation. You will never have to worry about your hair as long as you freeform, you literally just embrace the journey. With methods 1-6, if you’re starting with a natural hair care professional it is recommended that you return to the salon at least 4-6 weeks after your initial installation, for at least the first 6 months, to ensure the locking process is successfully beginning and to remedy any issues. Trust me, waiting 6 months to go back to the salon and realizing you have issues that could have been corrected months ago is very heartbreaking and costly. As long as you’re patient, cultivating locs is a very fun and revealing process, and you’ll learn a lot about your hair and yourself throughout the journey! 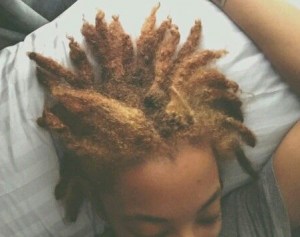 What method did you choose to start your locs? And Why? I started with two strand twist. Thank you SOOOO much for coming to my blog and showing love; it is definitely much appreciated! 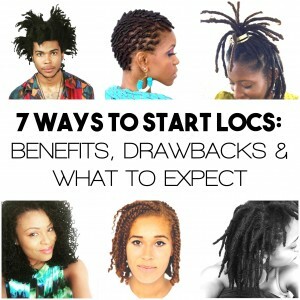 Please let me know what questions, concerns, and trimuphs you have as you embark on your new journey with locs! Thank youfor showing some love to backcombing. I had mine started that way by a loctician. It worked well for my soft fine hair as well. Yeah, I enjoyed starting with backcombing. I just started mine a week ago. I used the loc extensions. Thanks for the info! I started my locs almost 2 years ago with loc extensions using human hair. I was natural for 5 years before I decide to finally loc my hair. It didn’t take long for my hair/roots to go through the loc process and yes I did have frizz. I am so happy that I have had a licensed cosmetologist and loctician to help me not only start my locs but help me maintain them as well. I wish I had loc my hair sooner, I love them. I started with loc extensions, i’ve had them for about 18 months…my hair was pretty long prior to the loc extensions but I wanted more manageable hair(or maybe I was just vain). In any case I want to take the extension off but my hair ends inside the extension have NOT loc’d but my roots are loc’d. Can I take the extension of an palm roll from here on out? Any suggestions or help? I love your work and im so glad I stumbled upon your site! Im thinking about starting my locs from 2 strand- should I keep my hair dry or wet it? And what’s your suggestions on keeping the hair moisturized during the start up and maintenance process? Thank you for reading the article! 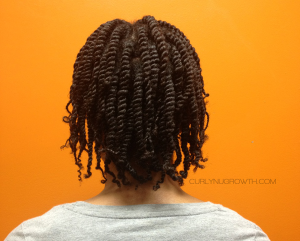 Yes, two-strand twists will always produce a thicker/more solid loc than comb coils. You can learn more in this video on “Comb Coils vs Two-Strand Twists“. releasing free of identity and personality to fill my being with peace and ancestral love, no desires to see or visualize each step or turn out. just flow with creation, like a flower. I just started mine, quite literally. And am doing quite small two strand twists. Not so sure if I should wash them at the end of the week or not? You can shampoo your hair at anytime. My first set were interlocked. Took those out within 5-6 weeks. My second set were started with comb coils & although they came out beautifully, the beginning stages were so frustrating (re: depending on a stylist, unravelling locs after each wash for first 3-5 months). My third set will be back-combed…. or maybe a combo of back-combing & comb coils. We’ll see. I love your page! Thanks for always posting useful & user-friendly information =). I’m three years in with my locs & my hair is a fine texture. I’m looking for a good product as far as retighting the roots. Can you tell me a good product that would give me a good firm hold & tightness to my loc. Plus, no build up, too. You don’t want your locs to be firm. 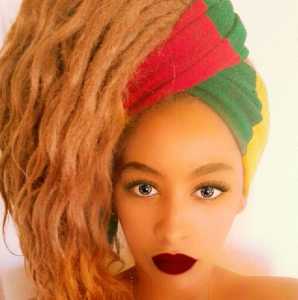 Your hair will loc on its own. Product is just meant to add shine or nourish the hair. Anything with “firm hold” or “locking hair faster” will likely cause build up because it contains waxes that get trapped in the hair. If you want your hair to be tighter, I would suggest you try maintaining them with interlocking instead of palm Rolling. If you start your locs by interlocking, will you still be able to comb out your locs? Yes absolutely, I picked my Sisterlocks out with a thumbtack. However, length retention depends on how well you cared for your locs. I started my locs journey today, via two-strand twist. I chose this option because of the length of my hair. 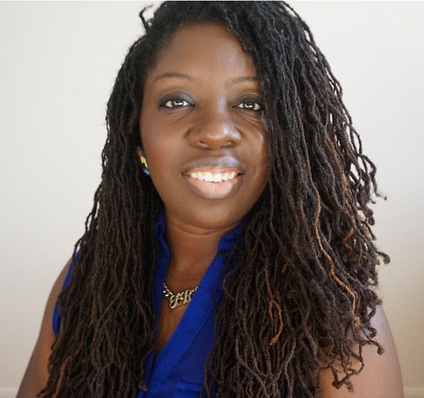 Thank you for providing this guidance on the methods for achieving locs. Every two weeks is wayyyyy too often for maintenance. 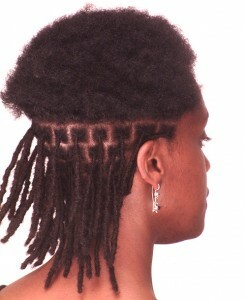 If you don’t feel like you can wait 3-4 weeks for a retwist, you may want to consider interlocking. There are several loc journeys on YouTube of people that were retwisting every two weeks and eventually caused alopecia (balding). Be careful. What method Jocelyn, would you recommend for multi texture natural hair? Been natural for almost 4 years. Any suggestions? Everyone has multiple textures in their head, the method depends on your lifestyle and desired outcome. Thank you for such an informational blog! I am six months into my journey by comb coiling, using natural oils and my hair was very long down my back starting and I cut alot of my straight dead ends from blow outs over time. So it went from bra strap length to about mid shoulder blades about 4 inches. But it was well worth it and it feels so healthy and I am excited for them to fully mature! Your article is very informative. I have two strand stwist in now. They have been in for two weeks. My scalp is really itching even with using olive and avacado oils. What should I do now? I am so glad i came across this article, it was very insightful. I have wanted locs since I was 10 yrs old but never committed to the journey. I am a few months shy of turning 30 and feel it’s time to start this journey. I was considering extensions because I am growing out and undercut and don’t want to look weird. But I also want to be part of the loc community. I’m a bit torn but I thank you for this article. Thank you so much for reading! Do whatever makes you happy! I am thrilled with all have read so far! I want to start the journey my hair is relaxed though getting due and I don’t want to cut, what do I do and can I make do with two strands twist as a startup? Looking forward to read from you! And please how to I maintain it,am in Nigeria. Thank you for reading the article! Unfortunately, you cannot start locs with relaxed hair. If you are anxious to start and don’t want to cut your hair, I would recommend that you look into permanent loc extensions. Thanks for this posting, very informative. I just started my loc journey a month ago, and I’m preparing to go for my first retwist. My locs were started by a loctician in Atlanta (I love in Ohio) and she started them with 2 strand twists, interlocked at the root. I’m not sure if when I go for my apt if I should go with palm rolling or interlocking. I’m leaning toward interlocking because I will need to wash my hair often, due to a scalp condition. BUT I don’t want lumpy locs. In your experience does interlocking cause lumps as opposed to palm rolling? Is it safe to go back and forth between the 2 or should I stick with one method? Hi Detra! I would suggest that you read the article about switching between interlocking and palm-rolling to get a better understanding of the differences and outcomes. I hope that helps! Hello Jocelyn! My hair is natural so what do you think would be the best method for me? The method depends on your lifestyle and desired outcome. 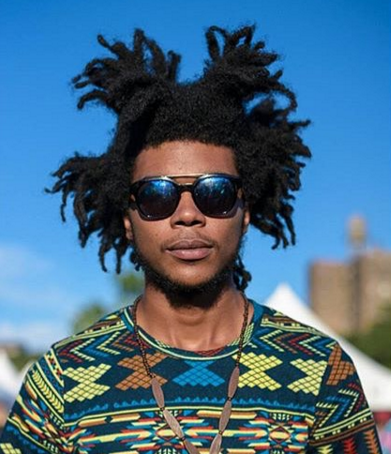 If you want your locs to be tamed as much as possible, I would suggest you look more into interlocking and/or mircolocs. Hello Jocelyn! I would like them to be neat. Hi I started my locs with the interlocking method in August of this yr. I am excited and appreciate your post. I feel so free! Congratulations on your new journey! You’re going to love it! I chose microlocs/interlocking method. Best decision ever! Sister locs were a tad too small. I sweat a lot and have a 1yr old as I’m a 1st time mother so my time I’d VERY limited. Plus I’ve been natural for over 7years and have always wanted locs I just didn’t know it was so many ways to start them. This journey is amazing. I begin my loc journey November 2, 2016! Yes I’m a neewbie!!! This article is extremely informative to me as I contemplate taking this journey. My hesitation is because I have very thin hair and also a nearly bald spot at the top of my head. I am trying to figure out if this will work for me. Lots of anxiety. I’m glad the article was helpful for you! If you would like a consultation to discuss your options, let me know! Thank you so much. Will consider look into it. First set was comb coils. They lasted a week because O was ready to lose my mind without being able to wash my hair in that heat. 2nd back comb but the style gave me such a headache and I didn’t like the way they looked. 3rd and final set braids. Put in my self and it has been 3 years and they look good to me. 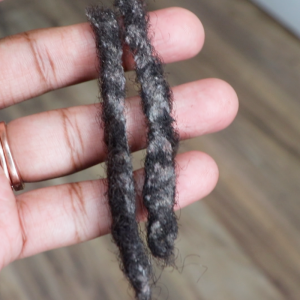 I do not recommend starting locs before the age of 6 because the hair is rapidly changing from birth through childhood and toddlers also tend to play very hard which would attract a lot of lint and buildup in the locs. I have a quick question – If I start with the braids, can those ever be taken out? Thanks for such an informative blog!! Great info! Yes you can always remove or comb out locs, but your length retention will depend on product usage and the health of your hair which it way it is very important to develop a healthy loc regimen in the beginning. Braids. I tried comb coils and backcombing and just about lost my mibd after a week of not being able to wash my hair with the coils. 3 days with the headache from back combing and the severly tight style she put them in. Hated the way the looked after I took them out the style. So I combed them out and braided my hair myself. 3+ years and they are below my shoulders. Hey Miss Jocelyn! I just made an appointment today to start my loc journey. It’s in a little less than 2 weeks. My hair is natural, tightly coiled, and shoulder length (when blow dried). I’d eventually like the locs to be more natural and organic looking, and thick. Which method would you suggest for me? Hi! I am starting locs this weekend however I am so confused as to which to use. I have very thick shoulder length 4c hair and am a college student, so i will be walking alot in the sun. But, i heard that with two strand twists, there is a big chance of bunching. Have you heard of that? The bunching vs budding thing? Yeah bunching can occur with twists, coils and braids depending on your texture and products you’re using. Hi Alison! I would definitely suggest twists because she is so active and also young. Twists will allow you to shampoo more freely and still style. I understand how it can be hard to manage on your own…. to help I have a full online workshop that teaches you how to maintain the starter locs and shampoo them. Let me know if you’re interested! Thank u for this informative article. Im planning on installing my locs myself on thick long hair, but I’m not that good with comb coiling. Can I two strand twist the root and finger coil the rest of the way? Just start with twists. It is better for longer hair. This blog was so helpful. I’ve been debating to or not to dread. I really want to but I am not looking forward to that “ugly phase”. I have 4c hair about neck length. What locking method do you feel is best for 4c hair? The best method will depend on more than what type of hair you have. You also have to consider the type of lifestyle you have (budget, frequency of exercise, etc.) and the desired size/outcome of your locs. This was a great article that I wish I read a month ago lol. I started my loc journey 4 weeks ago today (yay!) using comb coils. I have 4c and fine, dense hair that I believe is also soft. I feel like maybe I should’ve gone the interlock or two-strand twist route but this is what my loctician felt would be the best. Got my retwist done today and it’s looking good but I’m worried about working out. Any suggestions to keep me from messing up the progress I’ve made so far? There’s already some budding happening but I don’t wanna push it by sweating too much…I sweat a lot in my scalp and struggle with psoriasis 🙁 Any help would be great thanks! Hi Alex! Congratulations on your new journey with locs! I would highly suggesting investing in a “Fitness Bundle” to help protect your locs while working out and take a look at this article “What No One Tells You About Exercising With Locs“.